This is our new 6' Santa on Truck. Spread some extra holiday spirit this season by having this awesome item. 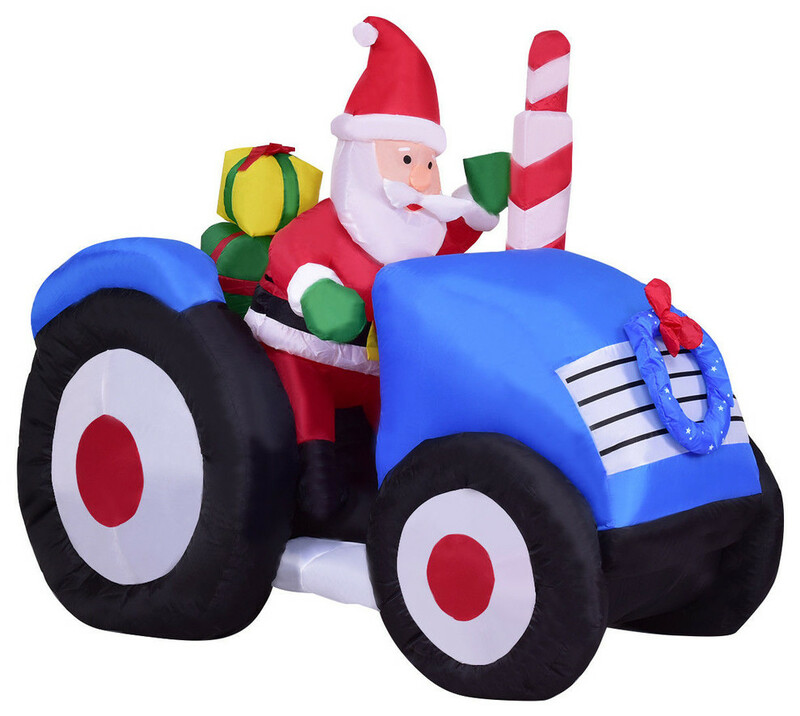 This inflatable Santa on Truck is great for bringing joy to family members, friends or anyone else in need of little extra holiday cheer. The merry mood would last all night long with it. Weather-resistant material makes it able to be used indoors or outdoors during the winter months. It is also of high quality so that can be stored away for the using of next year. Do not hesitate to buy one to decorate the Christmas!